Join us for the Church-wide Holy Week Fast with begins Monday, April 15, 2019 to Saturday, April 20, 2019. 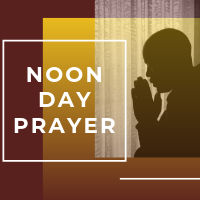 Wednesdays at Noon, we assemble ourselves together to make our requests known unto God. We pray ourselves happy while interceding for one another.